When people ask me what Lightning Returns is like, I always respond that it's a lot like Final Fantasy X-2. A lot of people seem to take this as an insult to Lightning Returns. It's not. While I feel like I am in the minority, I loved FFX-2 and much of what made it so fun to play is also present in Lightning Returns. 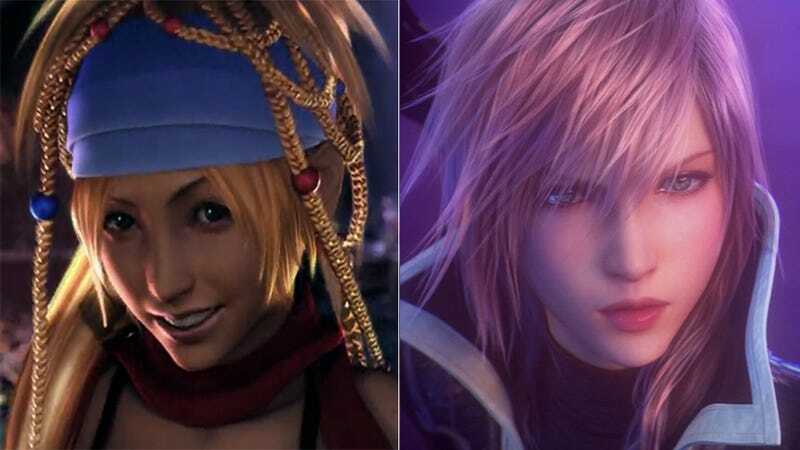 Both Lightning Returns and X-2 are quite non-linear—especially by Final Fantasy standards. Nearly from the get-go, you have the ability to go anywhere in the world you want to explore. While allowing you freedom of movement, FFX-2 does the game in chapters. You can go anywhere, but going to certain (clearly marked) locations will move forward the main story of the game, potentially locking out quests in other locations because of major changes that occur in the world. Lightning Returns, however, has a plot that can be done largely in any order—with the plot points affecting a small area instead of the full world. And because of the game's built-in deadline, all the other story points come to a head on the final day. This freedom, though organized differently in each game, allows you to experience as much of the story as you want without being forced into unwanted side quests—though skipping them means missing out of some of the best scenes (not to mention rewards) available in each of the two games. But more than that, side quests are everywhere in both games. In fact, the vast majority of the game is side quests. I remember acquaintances complaining to me after the release of X-2 that it only took ten hours to beat. This is strictly true—if you skip every single side quest. The same is true of Lightning Returns. If you wanted to, you could focus on just the main story quests (of which there are no more than twenty). Granted, this would be incredibly difficult as the only way to level in Lightning Returns is to complete quests—not to mention most weapons and costumes are quest rewards—but I suspect it is possible on easy mode if nothing else. So, frankly, if you are looking to get the most out of both games, skipping out on the side quests that give life and breadth to their respective worlds is pretty much the worst thing you could do. That's not to imply the main stories are bad however. Both X-2 and Lightning Returns are character-driven stories about people trying to move on to a new life. Both Lightning and Yuna are trying to get past the deaths of people they loved very much. To do this, they have moved on to new lives they have chosen for themselves—savior of souls and sphere hunter, respectively. Over the course of these games, our two heroines visit old friends, see how the new state of the world has affected them, and generally help them overcome their own issues. And then there are the similarities in gameplay. The most obvious is that both games' battle systems are built around costumes and the ability to change them mid-battle. More than character level, it is the power of your costumes which determine how powerful you are in battle. Thus, you will do pretty much any quest, no matter how insane or time consuming, if it grants you a new outfit. But really the best parts of FFX-2 and Lightning Returns are their fast and frantic battle systems. The FFX-2 battle system is simply an evolution of the series' long used Active Time Battle system. However, because of the various classes and their respective attacks, much of the game's strategy is centered around chaining attacks to keep your enemies off balance. You are constantly switching between outfits for the best possible strategy. Despite using a much more action-oriented version of FFXIII's battle system, Lightning Returns is similarly about constantly switching costumes on the fly to defeat your enemies in the easiest way possible. Neither game presents a passive battle system where you have all the time in the world to make your next choice nor are you able (in most cases) to just tune out and press a single button all the way to victory. All in all, both Lightning Returns and Final Fantasy X-2 are games built around freedom and fast-paced gameplay. If you like one of these games, you will almost certainly like the other. Lightning Returns: Final Fantasy XIII was released on November 21, 2013 for the PlayStation 3 and Xbox 360 in Japan. It will be released in North America on February 11, 2014, and in Europe on February 14, 2014.